Today I have my first DIY of 2017! Today's project is part of my collaboration with Xyron since I'm a member of their design team! This means that you will be seeing a Xyron machine in action! For this particular project, I will be showcasing the Xyron® Creative Station Lite. 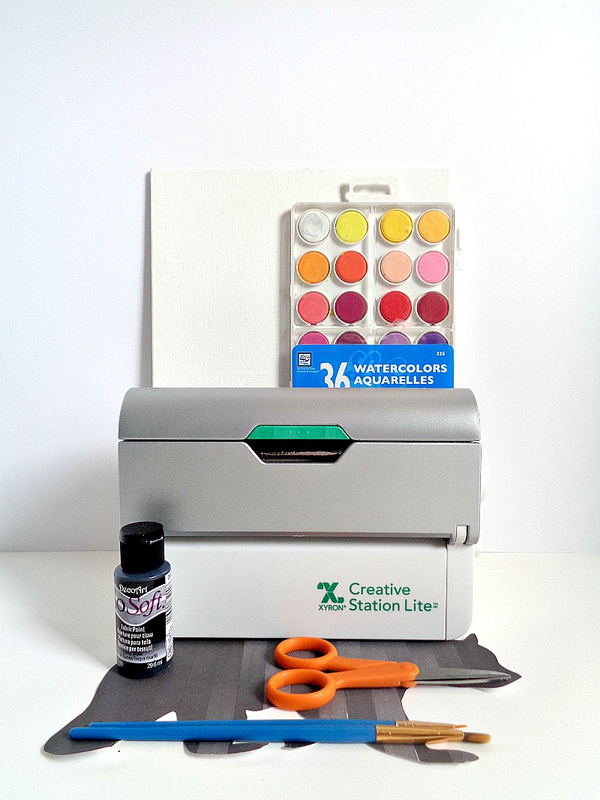 I've talked about the Xyron® Creative Station Lite before, so if you want to learn more about it, then click here. With that being said, I'm also showcasing Xyron's Repositionable Refill Cartridge! I have never used this cartridge on the blog before and thought it would be fun to use. 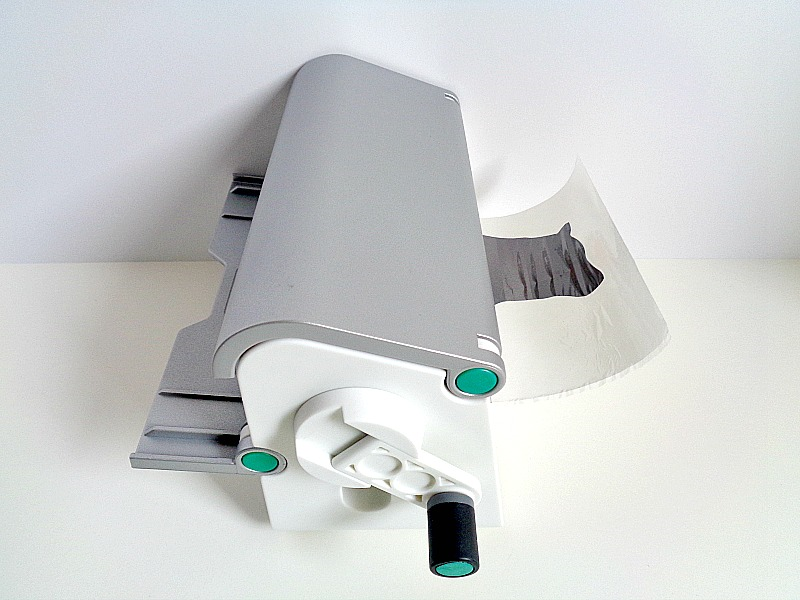 Specifically, the Repositionable Refill Cartridge adhesive is designed to be ''movable'' while you're placing your image down on your surface. For example, if you ran an embellishment through your Xyron machine (using the Repositionable Refill Cartridge), you could lay that embellishment on your paper and peel it back up again. You could keep repeating this process with your embellishment until you were happy with its placement. Then finally, over time, the embellishment would become permanently adhered to the surface you applied it to. 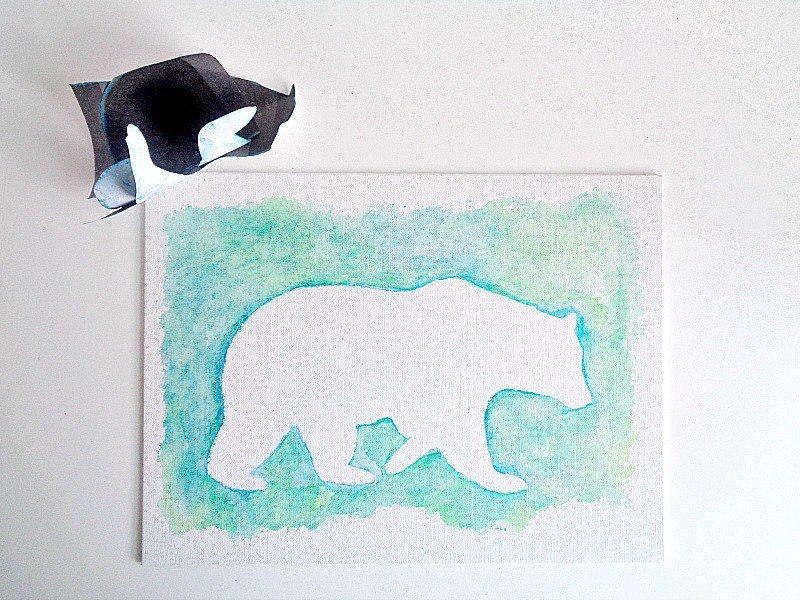 In this case, I'm making a winter watercolor piece of wall art, by using Xyron's Repositionable Refill Cartridge as the replacement for spray adhesive for my stencil! Step 2: Once your animal image has been run through the Xyron Creative Station Lite machine, you're ready to add it to your canvas. 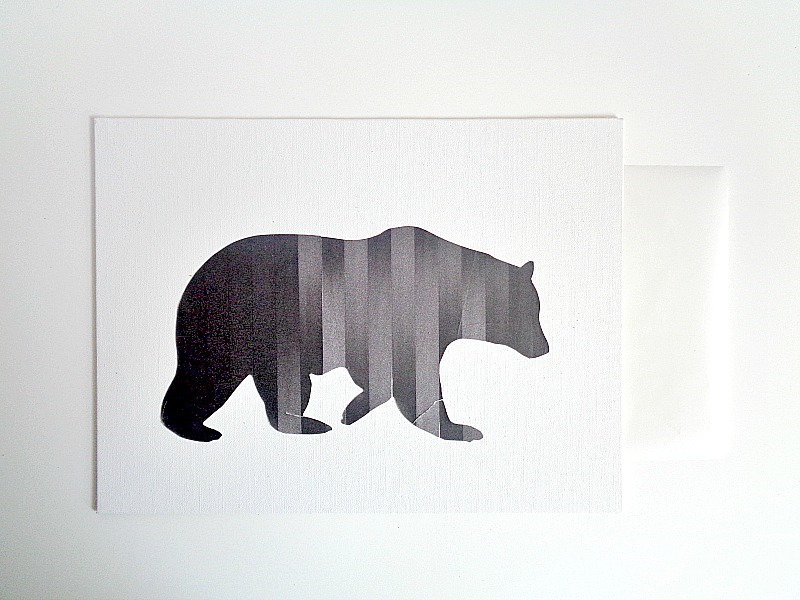 Simply rub the top of the sticker paper and peel your animal image off of the sticker paper. Then place your animal image onto your canvas and press it down into place. While applying your image to the canvas, make sure you rub the edges down so the paint will not seep through in the next step. 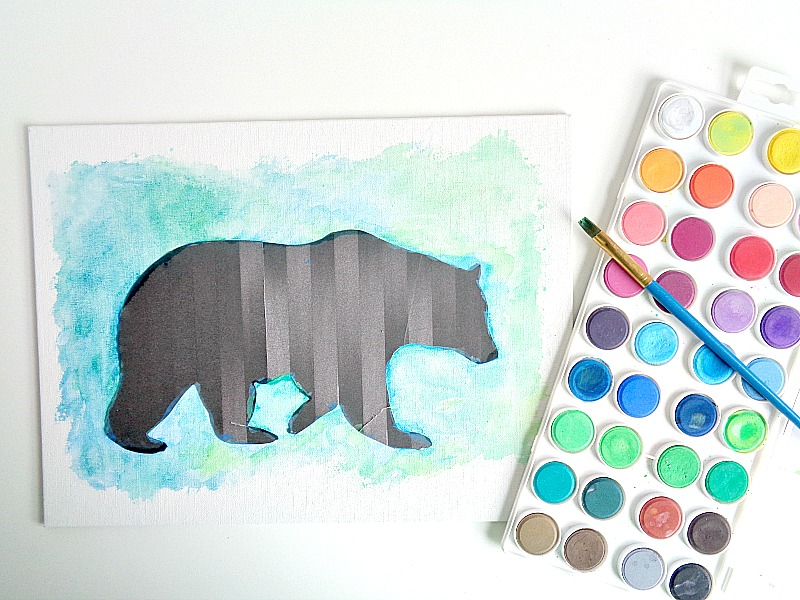 Step 3: Now grab your watercolors and begin painting around your animal image. While painting, make sure you apply enough color around the edges of the whole animal. Above, you will see that I used a blue color around the entire bear. From there, you can gradually add more colors to get that watercolor look. Once you're happy with the look of your painting, set the whole thing aside to dry. Step 4: When your painting is completely dry, peel off your animal image. If some of the watercolor paint did seep through, don't panic! Since your using watercolor, it should wipe away with some water and a damp towel. Step 5: Grab your black paint and your small paintbrush. 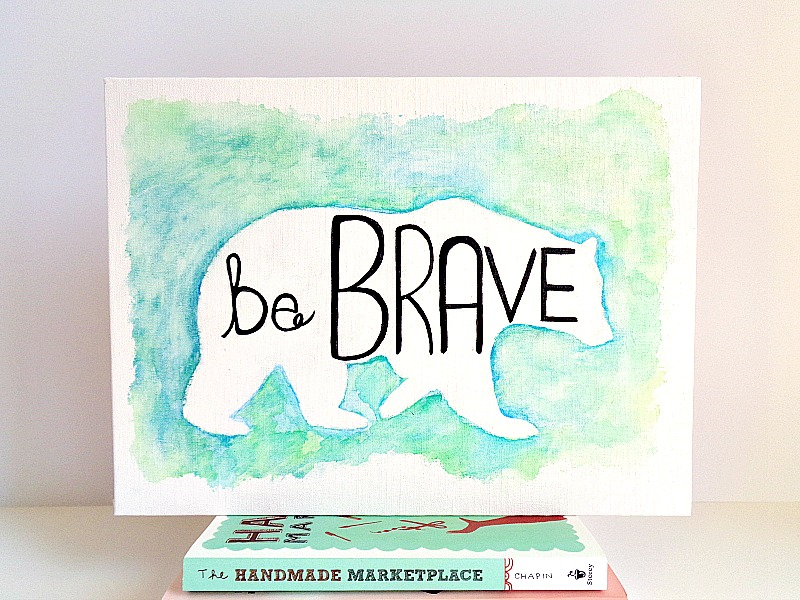 Then decide what motivational phrase you want to use for your wall art and then paint that phrase on the inside of your animal. 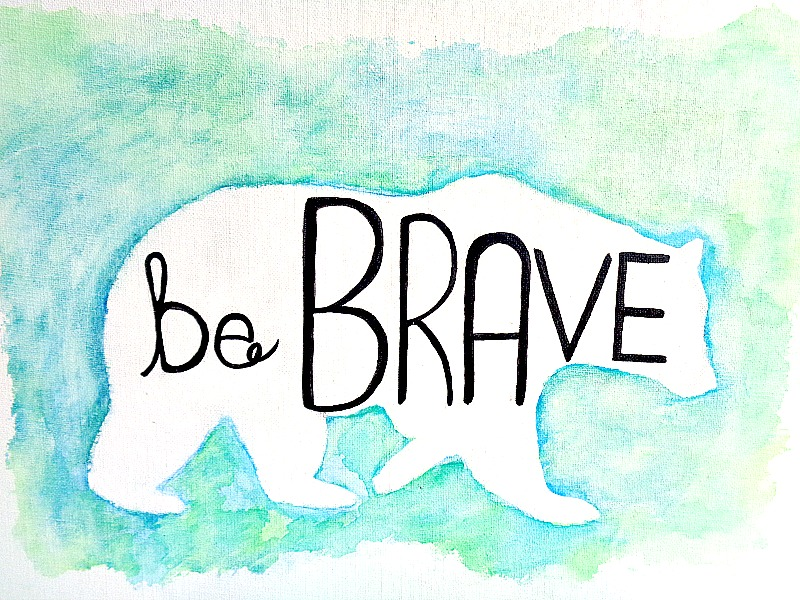 I suggest that before you begin painting, to draw out your letters with a pencil. 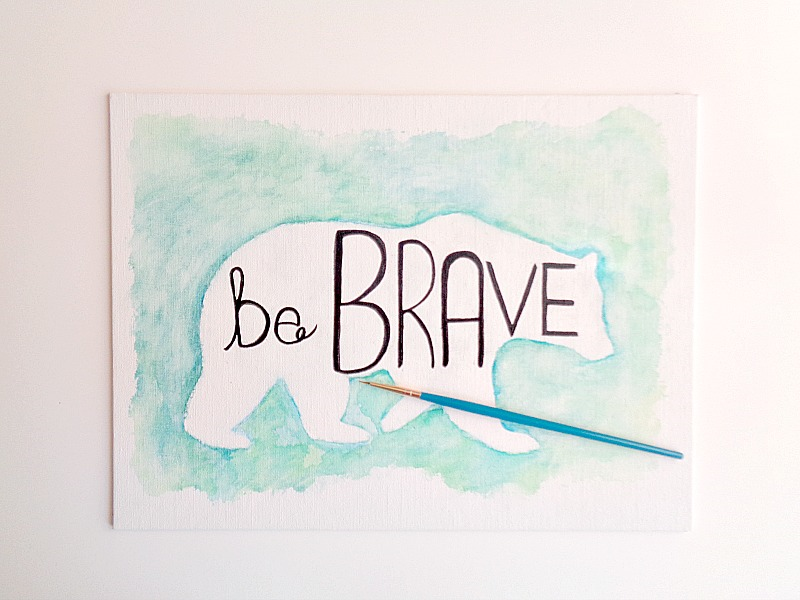 When your canvas is completely dry, you're ready to display your new winter watercolor wall art! I loved how this piece turned out, even if my handwriting is atrocious! Speaking of handwriting, if you're someone who is not in love with your handwriting, I would suggest practicing how you want your phrase to look before you paint. My goal for this piece was to have the phrase fill up most of the bear, however you could make your phrase look more normal than mine (lol). Also, if you didn't want to use black paint, you could totally use a fine black marker or calligraphy pen to write your phrase. So what do you think? 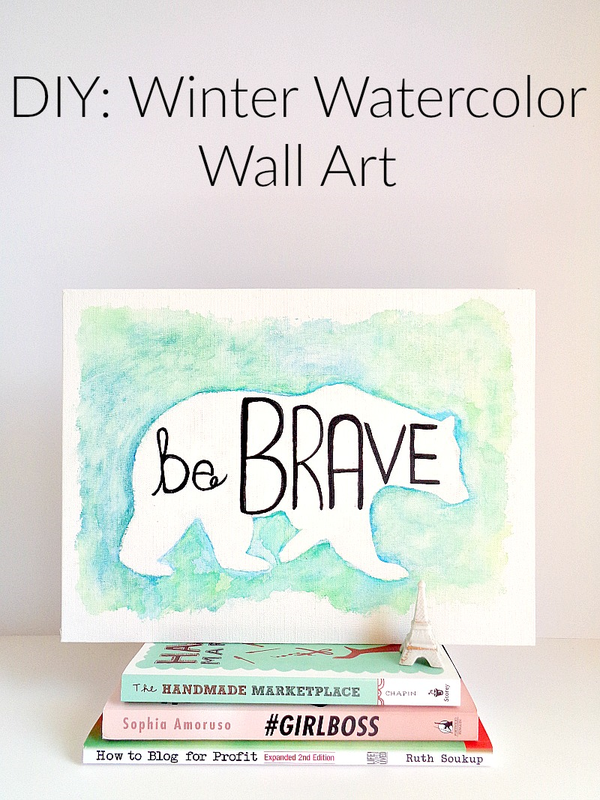 Do you like this Winter Watercolor Wall Art?